It has been almost 10 years since Satoshi Nakamoto introduced Bitcoin to the world. It is the first fully functional trustless digital currency solution that utilizes the blockchain technology in its decentralized network. The polarizing factor of Bitcoin has created two camps amongst individuals and corporations, one that took it as a joke, and the other as a contender to traditional payment methods/currencies. Both now agree that Bitcoin and cryptocurrencies are here to stay. Along the way, new ideas and concepts have emerged; giving way to new cryptocurrency projects to evolve the blockchain concept and offer different solutions to the world. Many new people have started to take a closer look into this abnormal world that is crypto. Those that have left their prejudice behind, allowing to be introduced by this new concept have gotten amazed; as such they now acknowledged that blockchain provides vast potential. Blockchain is a solution that will completely re-invent the current financial ecosystem; more specifically the concept of trusted parties involvement in the roles of identification, title, certification, rule making, and in any further decision making on the behalf of involved users. Today, the majority of the world’s population still ignores the existence of cryptocurrencies, and the revolutionizing potential of Blockchain. Meanwhile, large financial entities, see it as a uncontrollable, disruptive threat, and try to slow it down & control it as much as they can. They do so by repeating their claims that cryptocurrency is a speculative market, and not ripe for mass adoption. The old are wise, but unable to change, the new are inexperienced so they try and fail. The wishes and tastes of generations often are completely different. 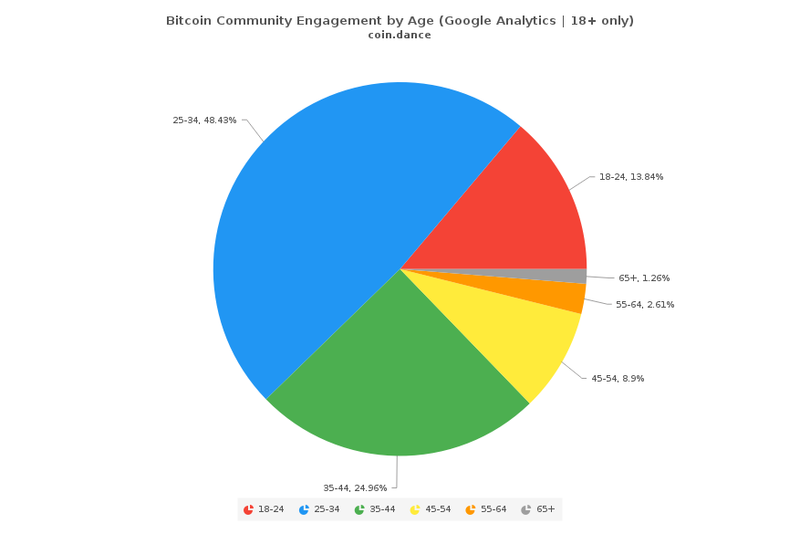 In general, the cryptocurrency space is populated by a young educated crowd. As such, many university students have a rudimentary understanding of blockchain technology and the underlying benefits that it can offer. The unique side of cryptocurrencies is not having any age limits for the users. In other words, cryptocurrencies allow everyone with internet access to have direct and a sort of digital bank access. 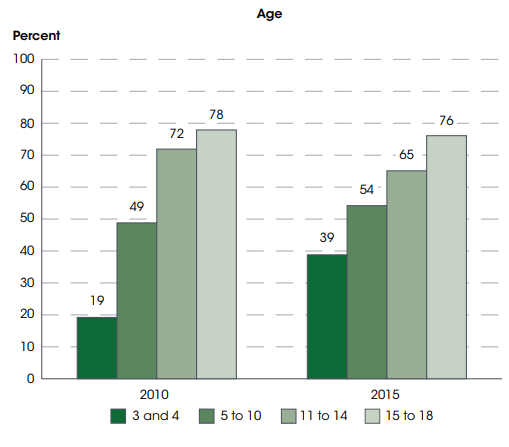 Currently, the average age that children get internet access is 5 year olds. U.S. Department of Commerce, Census Bureau, Current Population Survey (CPS), October 2010 and July 2015. See Digest of Education Statistics 2016, table 702.15. In the coming years, we will see the young generation with internet access increasing using cryptocurrencies. Since most will not have their own bank account until they reach their countries age of adulthood. When they reach adulthood, it is probable that they will have at least 10 years of cryptocurrency knowledge. With this experience, they will not accept nor understand the rules and delays of the traditional financial system, with the speed of cryptocurrencies, one work day or two for transaction period will be completely unacceptable. Verge at its core is a cryptocurrency designed for everyday use with a high transaction speed (15–30sec.) and low transaction fees. It is channeling the transactions over the Tor network which hides the location of the users. On top of this privacy features, Verge also offers optional stealth addresses, providing users to have private transactions on the same public blockchain. Verge aims to be adopted by commercial and private users. This is why the focus has been on adoption with increasing numbers of vendors and companies, both within the cryptocurrency world, and out. Currently Verge is updating it’s codebase to have network improvements and build new and better apps., as well as re-inventing its wallets to create user-friendly experiences. Verge Currency understands the needs of education, and direction in order to introduce cryptocurrencies to children. As such we have looked at unorthodox ways to create more engagement with them. Motocross racers use lightweight motorcycles designed for off road terrain and rough riding. There are different classes within the major classes that are based on the size of the bike and the size of the engine with some classes specifically designed for youth racing. Danny is from Calgary, Alberta, Canada. Although he is only 9 years old, he has an extraordinary 5 years of racing experience. 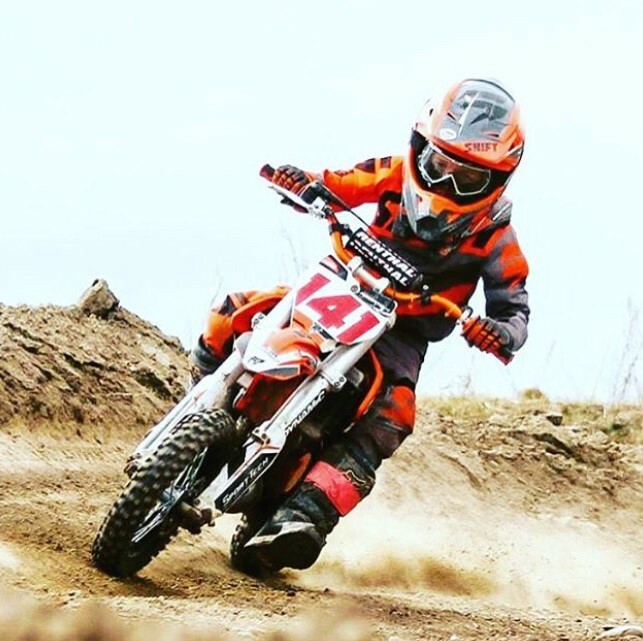 He is regularly training and has a huge potential to become a legend in motocross world such as Ricky Carmichael or Jeremy McGrath. In the last 12 months alone, he has experienced 104 racing days. 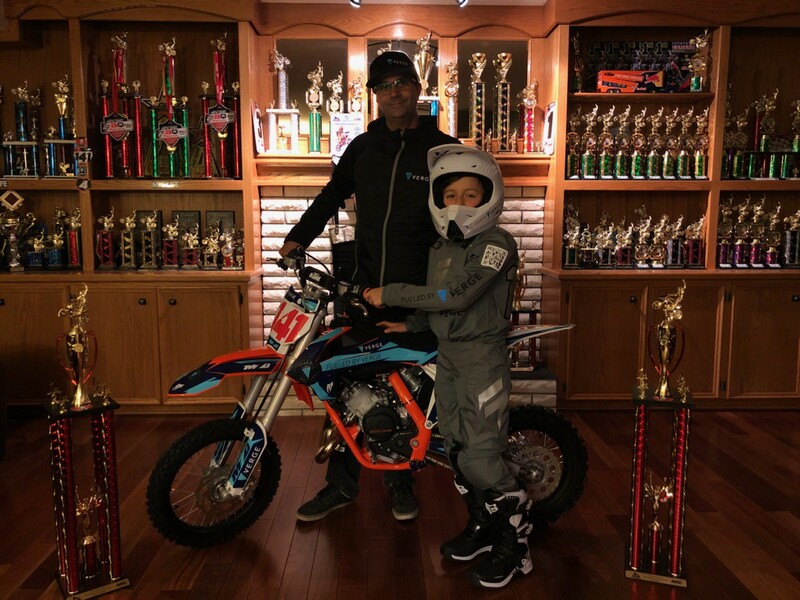 On his last 30 racing days, he has achieved to become 1st in 16 (races), 2nd in 8, as well as 3rd in 2.His track records shows his passion and success in Moto X.
Danny is one of our youngest community members who believes in privacy and the Verge vision. Danny wanted to help the young generation acknowledge cryptocurrencies by covering his bike with the Verge brand. He did not get any compensation doing so, and sees it as his contribution to bringing awareness. His father Derek Robertson, on the picture above, supported him with his cause and purchased a brand new bike and outfit. He arranged the Verge brand concept for the bike, outfit and helmet. We asked his father to place a QR code on his outfit and send it to us, so that we can in turn give the chance to ourselves and the community to support him.